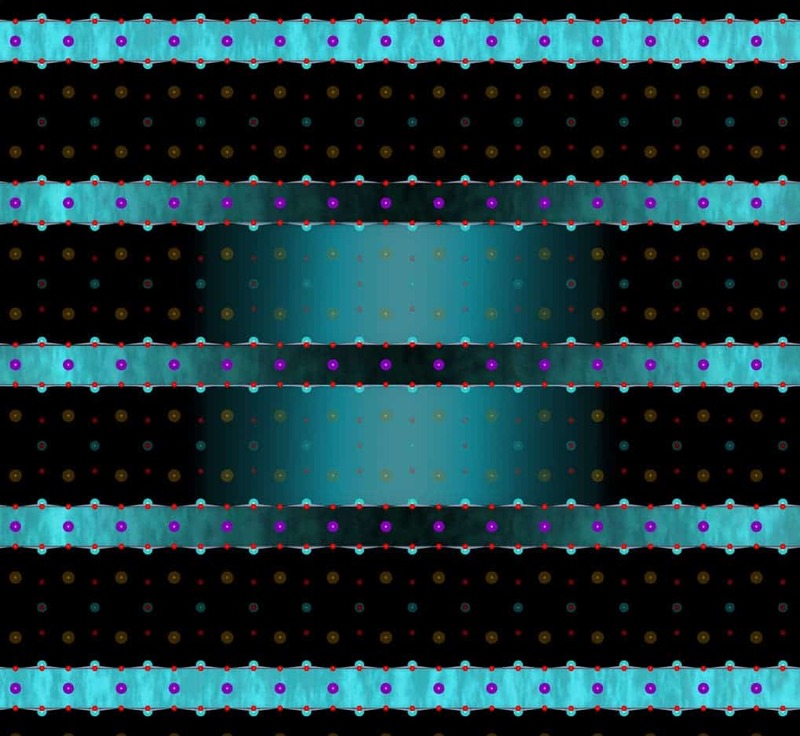 Using a pulse of infrared light, physicists at the Max Planck Institute for the Structure and Dynamics of Matter have turned an insulating material into a superconductor even at room temperature, a property that was retained for only a few millionths of a microsecond. Superconductivity is a state where a material can conduct electricity with absolute zero resistance, with no loss of energy. Traditionally, the state has been demonstrated in metals and ceramics which typically need to be cooled near to absolute zero temperature (-273 degrees Celsius). This breakthrough in fundamental research might spark further interest in achieving the much sought after superconductivity state at room temperature. 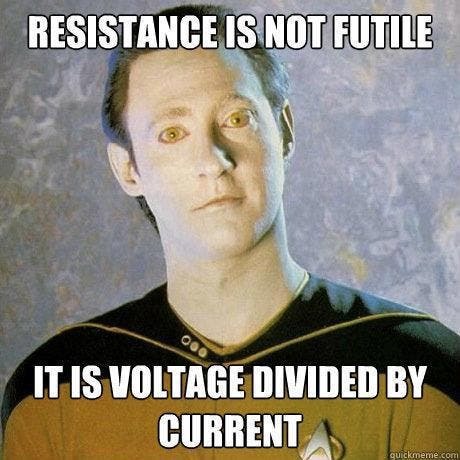 Star Trek’s Data – ruining jokes since 1987. Via University of Wisconsin. If you’ve ever touched a high power cable or even a simple appliancea like a hair dryer, you’ve certainly felt how hot it can be. The heating you’re sensing is due to the resistance of material that various wires and electrical components are made of. When electricity passes through these materials, impurities cause electrons to bounce off into atoms, causing them to shift position. This motion is translated into temperature (the vibrations of atoms). Heat is wasted energy (unless you wanted that way for heating) and even power lines that use very good conductors lose roughly 6% of the power they transmit. As such, there are many fields that are interested in using materials that have as little resistance as possible… ideally zero! Superconductivity was first discovered by Dutch Physicist Heike Kamerlingh Onnes in 1911, when he and his students found that the electrical resistance of a mercury wire cooled to about 3.6 degrees above absolute zero made a dramatic plunge. The drop was enormous – the resistance became at least twenty thousand times smaller. Since then, much work was made to improve our understanding of this peculiar state. We now know superconductivity is a quantum mechanical phenomenon characterized by the Meissner effect – the complete ejection of magnetic field lines from the interior of the superconductor as it transitions into the superconducting state. Not all metals can be superconductive. While most metals, like copper or silver, also experience a severe drop in electrical resistance when cooled near to absolute zero, they still show some resistance. While only a couple of materials capable of reaching superconductivity state were identified in 1980, today a whole slew of new alloys have been recognized thanks increase interest in the subject. These include niobium-titanium, germanium-niobium or niobium nitride. 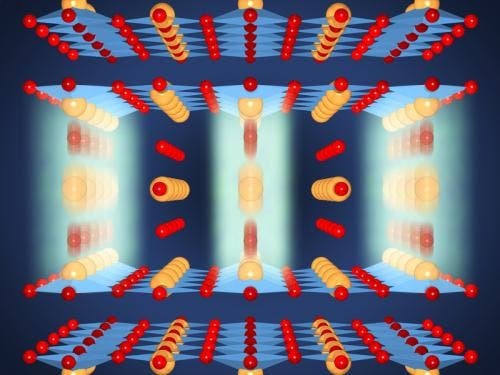 The most promising materials belong to a class based on ceramic materials, like the compound yttrium barium copper oxide (YBCO), which can be superconductive at only minus 200 degrees Celsius. 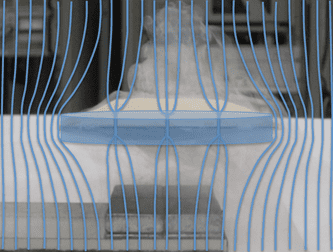 In effect, superconductivity can be segmented in low temperature conductors and so-called “high temperature” conductors, but even the best of the latter must be cooled below -140 °C to achieve near zero resistance. While we now understand how low temperature conductors like lead work, the same can’t be said about the high temperature ones as many of its mechanisms remain a mystery. An important step forward in understanding how these conductors work was made by Max Plank researchers – including Wanzheng Hu, Daniele Nicoletti, Cassi Hunt and Stefan Kaiser lead by Andrea Cavalleri – whose findings might ultimately help materials become superconductive at room temperature. The team focused their attention on the aforementioned Yttrium barium copper oxide (YBCO), whose crystal structure consists of stacks of two closely spaced copper-oxygen planes, with thicker intermediate layers which contain barium as well as copper and oxygen. Previous studied showed how pairs of electrons can already hop between the closely-spaced copper oxygen layers at temperature past its critical superconductive temperature of minus 180 degrees Celsius, but not across the large distance to the next bilayer unit. This effect has been likened to a “tunnel”, meaning they can pass through these layers like ghosts can pass through walls. “Our goal is to use light pulses to stimulate the electron pairs to tunnel freely between all layers at higher temperatures, thus effectively increasing the critical temperature,” explains Hu. Last year, in 2013, the team reported an amazing discovery. They discovered that when YBCO was irradiated with infrared laser pulses it briefly became superconductive at room temperature. Specifically, oxygen atoms that sit in the gap between pairs of copper-oxygen planes were targeted. The distance between these oxygen atoms and the planes has been found to be directly related to the critical temperature. Don’t jump off your chair, just yet! The superconductive state only survived for a couple of picoseconds (trillionths of a second). For some time, the scientists were left scratching their heads regarding the specific mechanisms involved. Now, the Max Plank team published a new paper in Nature where they explain what they believe had had happened. To solve the riddle, they enlisted the help of fellow physicists at the LCLS in the US, the world’s most powerful X-ray laser. Besides causing the atoms to oscillate, the infrared pulse shifted their positions in the crystal as well. This briefly caused the copper dioxide double layers thicker – by two picometers or one hundredth of an atomic diameter – while the layer between them was thinned by the same amount. The increments might seem minute, but these were enough to increase the quantum coupling between the double layers to such an extent that the crystal turned superconductive, albeit for a fleeting moment. Practical applications that use superconductivity today include magnets for nuclear spin tomography or particle accelerators. However, if superconductivity can be achieved at lower temperatures, thus reducing the energy required to cool the crystals, then a whole new realm of possibility might unfold before our very eyes – some straight from science fiction like the quantum locked superconducting disk that’s been charming people on the web for some years now. What happens in this particular case is small weak points in a thin superconductor allow magnetic fields to penetrate, locking them in. These are called Flux Tubes. If the quantum locking effect can maintained with low energy input, we might see things like zero friction rails that seemingly levitate at high speeds. Check out the video below for some mind bending demonstrations.